SHAUN KILGORE | WRITER, EDITOR, AND PUBLISHER: A New Novella Out. 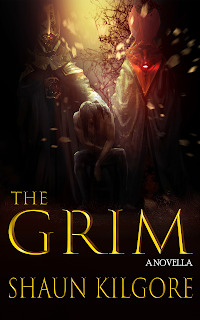 I recently released a novella I wrote titled The Grim. Reeling from terrible tragedy, young Rion Evonrule is thrust out of his familiar world and sets out on a desperate quest to deliver crucial news about a terrible blight that is spreading across the land--dark, living plague that steals the souls of mankind and enslaves them to its inhuman will. The Grim. A powerful mage may hold the answers. Rion is the messenger. You can purchase it on Kindle for $4.99 at the moment but it will be available in other formats and potentially in print in the near future.